"Like an updated version of Coleridge’s ‘Rime of the Ancient Mariner,’ (Body of Water is) a cautionary tale, but rarely do cautionary tales dazzle like this…a credit to Dombrowski’s prose, which torques and twists and glistens into view much like the bonefish itself….a book about seeking that which we cannot see, of understanding a place and its people not nearly as foreign as we might imagine. (The reader is left) with many lessons, though this one most of all: whether on a skiff or in a book, the guide matters. And Dombrowski’s the one you want." “A superbly cast work of nonfiction that deserves a wide readership. 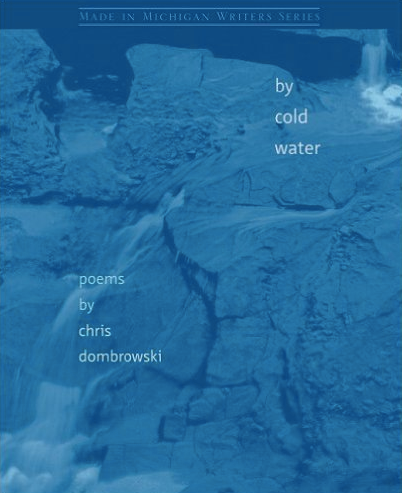 The sheer line speed of Chris Dombrowski’s prose is a joy to watch unfold. At ever turn he brings precision and originality to his sparkling depiction of flats fishing in sentences that would make Tom McGuane lean back in the batter’s box. (An) extraordinary book. “…flashes of Melville…keen, enthusiastic observations; reflections on fishing and life that shift with the changing tides and angles of light; prose presented with delicacy, power and skill; and raptures so vividly grounded in tropic details that the reader will share a four-sense tableau of being ‘there’.